This is a list resources that expands on topics covered in the Course Books. It includes books, articles, websites, and software. You can also access the resources through the Course Portal. What you need to make the most out of this course. Adobe Reader (Desktop) – For desktops. Remember to uncheck the optional offer if you don’t want it. Adobe Reader (iOS) – For iOS devices. iBooks – For iOS devices. Adobe Reader (Android) – For android devices. Aldiko Book Reader – For android devices. Microsoft Office Home and Student 2016 – Includes Word, Excel, Powerpoint, and OneNote. Basic Tasks in Excel 2016 – Free official tutorial on Excel. Excel for Dummies* – Recommended book for picking up Excel skills which are useful for analysing your trades. NinjaTrader 7 Help Guide – Learn how to use NinjaTrader 7 with the official online guide. MetaTrader – Free and popular trading platform among spot forex traders. You can easily obtain a free demo account from a spot forex broker that supports MetaTrader. Its features are more than sufficient for price action trading. However, you will not be able to apply the Course Indicators in MetaTrader. Efficient Market Hypothesis – Wikipedia entry with a summary of arguments for and against. Daniel Kahneman’s Thinking, Fast and Slow* – One of the best book for understanding cognitive biases. EUREX – You need to download a spreadsheet to view the margin information. How to Trade with Price Action – A compilation of basic price action trading articles from TSR. The Trading Methodologies of W.D. Gann: A Guide to Building Your Technical Analysis Toolbox by Hima Reddy* – Modern application of Gann tools. The W. D. Gann Master Commodity Course: Original Commodity Market Trading Course by W.D. Gann* – Gann’s original work. Trader Vic: Methods of a Wall Street Master by Victor Sperandeo* – 1-2-3 and 2B reversal, and trend line drawing. Law of Charts by Joe Ross and other publications – Definitions on varying degrees of sideways price action. 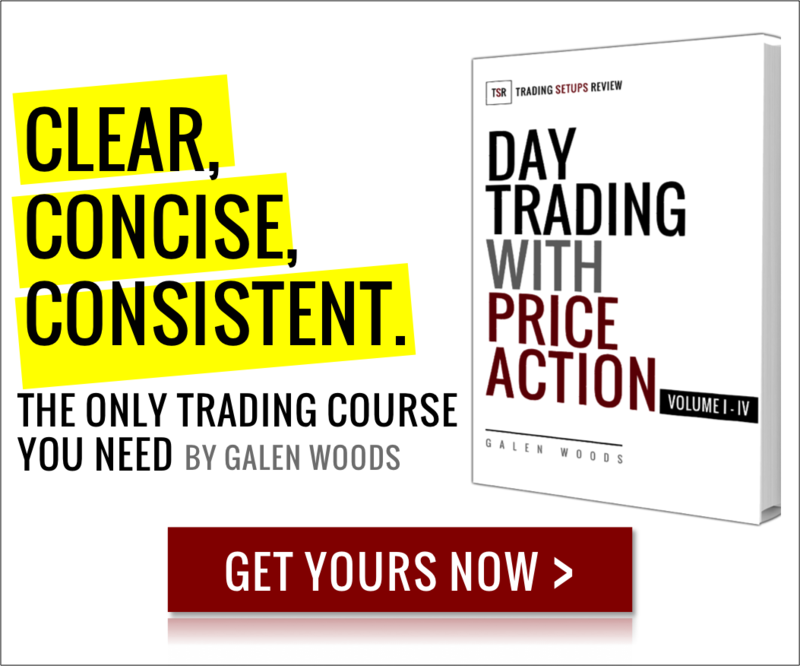 Trading Price Action Trends: Technical Analysis of Price Charts Bar by Bar for the Serious Trader by Al Brooks* – Concept of trend bar versus doji and the superior late/second entry. Japanese Candlestick Charting Techniques by Steve Nison – Candlestick patterns like Hammer and Inverted Hammer. Compare them to bar patterns for more insights. Pring on Price Patterns : The Definitive Guide to Price Pattern Analysis and Intrepretation by Martin Pring – The popular Pin Bar pattern explained. Dan Chesler on Hikkake – A specific variant of Trend Bar Failure can be a Hikkake. Al Brooks’ M2S and M2B – Similar to the Weak Pullback setup. OneNote – Free software for capturing screenshots of trades and annotating them. EverNote – Great for capturing screenshots of trades and annotating them. Free, with premium plans for added features. CamStudio – Free software for recording what happens on your screen while you trade. Camtasia – Paid screen recording software with more features. Average True Range – Different from the average bar range used in the course to distinguish wide range bars from narrow range bars. Day Trading with Short Term Price Patterns and Opening Range Breakout by Toby Crabel* – Narrow range bar patterns tend to risk less using a pattern stop. E.g. like NR4 and NR7. Chandelier Stops – A common stop-loss method based on market volatility. Trade Your Way to Financial Freedom by Van Tharp* – R-multiples concept for assessing trading edge. Kelly Criterion – A method for deriving the optimal bet size for a series of bets. Theoretically, it promises the best performance over the long run. Trading in the Zone by Mark Douglas* – An excellent book that highlights the need for probabilistic thinking in the markets. Brett Steenbarger’s Trading Psychology Articles – A collection of great articles from leading researcher of trading psychology and trader. Google Alerts – Use this tool to monitor for news on your broker and other trading vendors. CFTC Fraud Awareness and Prevention – Comprehensive guide to fraud prevention in the futures trading industry. National Futures Association’s Background Affiliation Status Information Center (BASIC) – Useful screening tool to find out if your broker is facing any regulatory action. CCleaner – Free software that cleans your computer to keep it secure and fast. Malwarebytes – Solid malware remover with free option. Speccy – Free system information tool. Useful for checking if your computer system meets the minimum requirement of your trading software.